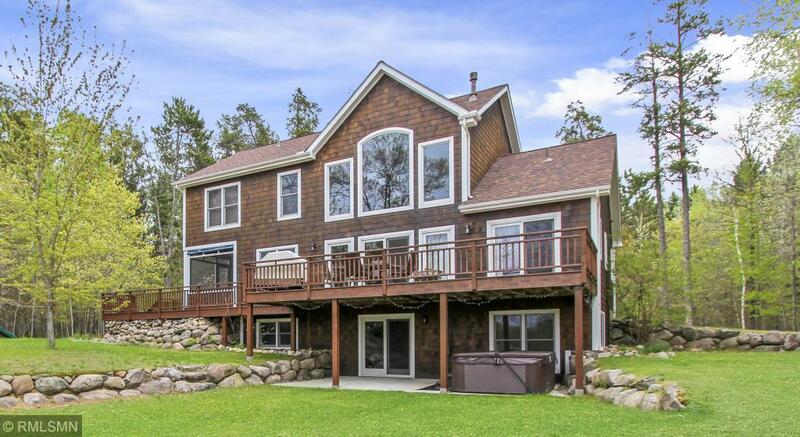 Must see 5 BR, 4 BA Bass Lake home w/ 750' of lake shore & 3.55 wooded acres. Home features Cedar siding, a two story great room w/ a gorgeous stone gas fireplace, wood ceilings, custom tiled bathrooms, screened in porch, theater room, office & hardwood floors, swing set, storage shed, new roof in 2016, home and deck have fresh stain adding to the move in condition of this premier lake home. BONUS: Pontoon and riding lawn mower included in sale!